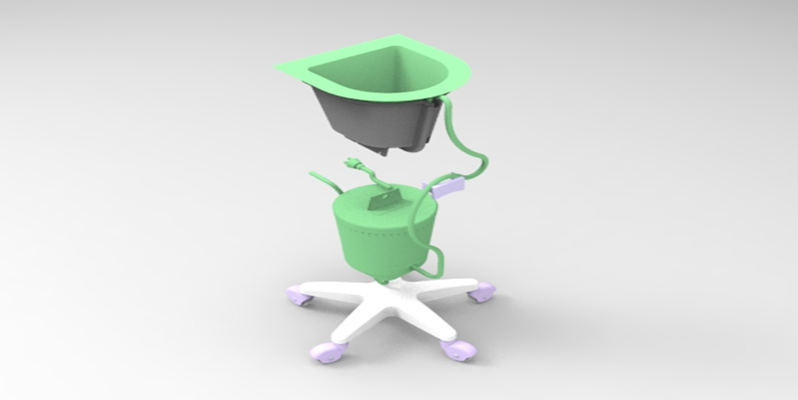 NHS spin-out SwabTech has received a £0.5m funding injection from Catapult Ventures for its automated Surgical Swab-Washer, which assists in the process of recycling patients’ blood. Up to 50 per cent of blood in surgery is soaked up by swabs. Some hospitals today use Intraoperative Cell Salvage (ICS) systems where recovered blood from these swabs is re-infused back into the patient during or after surgery. However, many of these systems rely on manual washing of the swabs in a saline solution. According to SwabTech, this manual washing can be labour-intensive and distracting for a scrub nurse, and often delivers inconsistent blood recovery rates. It also can’t be performed during orthopaedic procedures due to potential contamination from bone fragments. But the Manchester-based company’s Surgical Swab-Washer is aiming to automate this process. Developed by a clinical scientist, a surgeon and an engineer, the device is made up of two main chambers. During surgery, the upper chamber is loaded with used swabs, which are washed automatically in a saline solution when the lid is closed. Once the washing cycle is complete, the swabs are removed, the lid is shut, and the system primes itself for the process to be repeated. The lower chamber collects the recovered blood and saline solution and delivers it to the ICS system, where it is prepared for transfusion back into the patient. SwabTech claims its system has multiple advantages over current blood recovery techniques, including a more sterile washing environment, higher rates of blood recovery, and consistently high red cell yields. The technology also frees up scrub nurses from the distraction of manual washing and is suitable for orthopaedic surgery. According to Catapult Ventures, its investment in SwabTech will enable the company to finalise its product design, secure a CE mark and move forward with UK and international product launches.